The historical East Tyrolean spa Aigner Badl is located in Abfaltersbach. The farm house is over 200 years old. 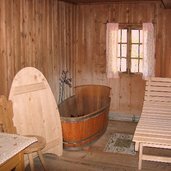 Baths are made in a larch bathtub with cover. The Aigner Badl is a historical Tyrolean spa that has been operating since 1772. The building features wooden shingles and is located at the southern Drava river bank in Abfaltersbach, not far from the popular Drava cycle path. In 1991 the Aigner Badl has been saved from ruin by the reconstruction of the roof. Today this spa is protected as a historic monument and has been declared a mineral spring by the Institute of Physiology and Balneology of the University of Innsbruck. 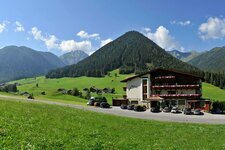 The traditional Tyrolean spa Aigner Badl is based on a calcium sulfate mineral spring. 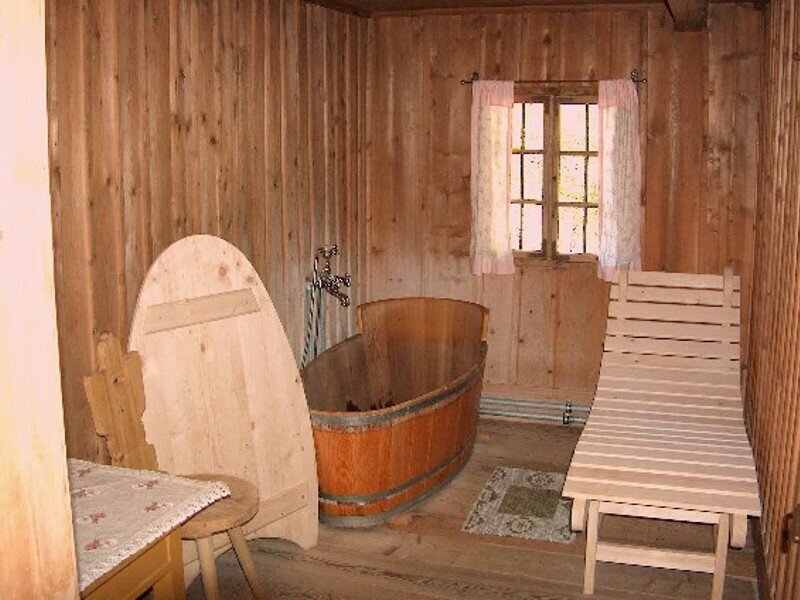 Baths are made in a larch bathtub with cover. Moreover a bathing cure is offered which is amied at alleviating joint pain, rheuma and ischias and fosters wound healing. Next to the Aigner Badl, there is a tavern, which is especially popular with cyclers due to the Drava cycle path passing by.